Scotland's rugby team is a shining example of diversity, galvanising a top team of players from all over the world who love living and working here. They are the flower of Scotland. 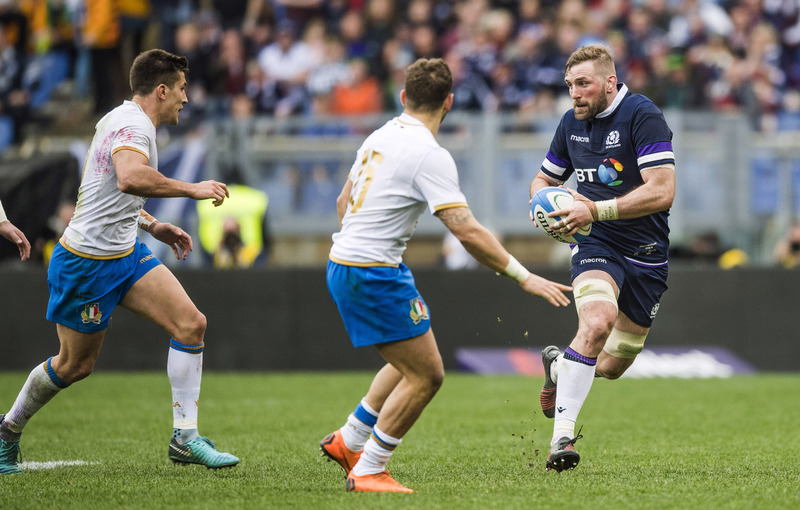 The Scottish rugby team is full of passion, pride and patriotism, but did you know it has more than 13 overseas-born players eligible for selection? And perhaps several more beyond the bench who can can trace connections to the Land of the Brave too. The squad is a shining beacon of why Scotland is so wonderful at welcoming people to live and work here from all over the world. The impressive kudos is the team galavanise all this terrific talent to create a winning formula: Scotland is one of the world's top teams right now. And now the Guinness Six Nations has kicked off, and with the Rugby World Cup hard on its heels, this multinational team is a fine example of people diversity in Scotland. Both on and off the pitch. Scotland attracts those wanting to work hard and play even harder. The Scottish rugby team is a metaphor for those who have travelled far and wide to enjoy Scotland’s excellent work/life balance. 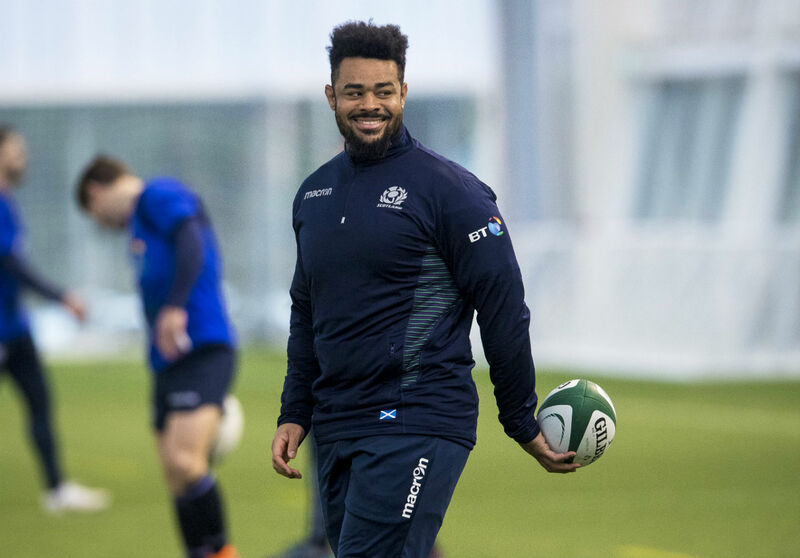 Players have moved here from as far afield as South Africa, Australia, New Zealand - forgoing these rugby powerhouses for the chance to pull on the Scotland's iconic blue shirt. Did you know there are about 50 million people world-wide who claim Scottish ancestry? The players have remembered their roots: many were born outside of Scotland – yet are eligible to play here through a family connection or already having residency here. Ultimately, the team is living and kicking proof that Scots (or part Scots) love returning home, temporarily or permanently. “I’m loving my time in Glasgow and very happy to continue my development with the team. I met a beautiful Scottish girl. My life is firmly in Scotland and even if the opportunity came up to go home, I wouldn't have taken it. I'm not really interested." Home-grown and overseas players demonstrate why Scotland is a superb place to call home and forge a career. Why? Scotland has one of the highest qualities of life in the world, with a thriving job market that scored high on salary levels this year due to stiff competition for talent. This is according to a Royal Bank of Scotland survey. And, when it comes to laying down roots here, five of the top 20 most affordable cities to buy a property in the UK are in Scotland. Dundee, Glasgow, Inverness and Perth saw the biggest improvement in affordability compared with all other cities in Scotland. Scotland is so diverse it'll call you up for selection too! Again, Scottish rugby is a perfect example of Scotland’s multiculturalism. International player Darryl Yaw A. Marfo (above) returned to his roots here, born in Westminster, London, to a Scottish mother. He received his first call up to the senior Scotland squad by coach, Gregor Townsend, at last year’s Autumn Internationals, making his debut against Samoa, and also starting against New Zealand and in Scotland's record win against Australia. As a country itself, Scotland is a talented team. Little wonder that it’s made up of nationalities from all over the world. There are around 850,000 people here who do not identify themselves as white Scottish, while one in six Scottish households, which contain two or more people, is now multi-ethnic, discovered the Centre on the Dynamics of Ethnicity. From tech and tourism, to food and fintech, Scotland kicks high and mightily across so many career fields. Over 60,000 professionals are employed in technology jobs here, while the financial sector employs almost 100,000 people, generating around £8 billion for the Scottish economy. And that's some high-scoring results! Now living in London, Tim and his family fully intend to move back to Scotland, where he’ll hang up his rugby boots to pursue a career in financial services. So, the kick-off whistle has blown. It's time to take your front row seats. Take in Scotland. Up close and personal.